(i) Redington, commencing its Indian operations in 1993, is today positioned as the largest Supply Chain Solution Provider in emerging markets. As a group, Redington is present in India, Middle East, Africa, Turkey, Srilanka, Bangladesh, Singapore, and CIS countries. (ii) Redington provides end-to-end supply chain solutions for all categories of Information Technology products (PCs, PC building blocks, networking, software and enterprise solution products) and Consumer and Lifestyle products (Telecom, Digital Lifestyle products, Entertainment products, and Digital Printing Machines) to over 200 international brands and relationship with major brands have been for years. (iii) With its corporate office in Chennai, it has 48 Sales locations across India. In addition, through its subsidiaries both in India and overseas, Redington has 81 Sales offices, 147 warehouses, and 77 own service centers and 266 partner centers. A team comprising of over 1500 highly skilled and committed professionals helps the Company deliver its products and services to every corner of the country. The team is supported by robust IT & Communication infrastructure connecting all the locations of the company and a state of the art ERP and e-commerce backbone. Redington has built its business on very strong ethical and commercial fundamentals which have not only helped it to consistently exceed the industry growth rate but has also enabled to firmly establish it as the “partner of choice” with most of its vendors and business partners. A compounded annual growth rate of 52% over the past 23 years has enabled Redington to generate a revenue of over Rs. 35,476.33 crores during fiscal 2015 – 16, underlining the very strong foundation and prudent practices on which the company’s business practices have been built. The Board of Directors of the Company Approved buyback proposal for purchase by the Company of its own fully paid equity shares of Rs. 2 each (Equity Share) not exceeding 1,11,20,000 Equity Shares (being 2.78% of the total paid-up equity capital of the Company) at a price of Rs. 125 per Equity Share, for an aggregate amount of up to Rs. 139 Cr from the shareholders of the Company on a proportionate basis through the Tender Offer Route. 1. Firstly, to be eligible for the buyback the investor should have shares of Redington India Limited Buyback offer 2018 in demat or physical form as on the record date [28.09.2018]. 2. Once you have shares in demat, you can participate in the buyback process which is opening from [06.11.2018 to 22.11.2018] by selling your shares through your broker on NSE or BSE. 3. Then on [04.12.2018], the payment will be given to you for accepted shares and unaccepted shares will be returned to your demat account. Anyone got letter of acceptance or the amount in bank or return shares? Yes AR is 35% @ Rs 125 per share. 1. Buyback Announcement date: 17.09.2018—– Share Price was 110. 2. 1600 Shares bought at Rs. 110 means an investment of 1,76,000. 4. The final Accepted Shares were taken back on 3.12.2018. The CMP on 03.12.2018 was 87. If someone sells his remaining shares 1040 at a loss of Rs.87 per shares the loss would be (1040*23=23920). 5. Overall we can say a loss of 15520 on an investment of 1,76,000 in 2 months 20 days. Any idea on acceptance ratio? will be around 25% as CMP is too low when compared to buyback price so almost everyone must have tendered the shares. Earlier in JB Chemicals case I have offered through HDFC Securities but now reg. Redington I am not able to find in the dash board. Pls. suggest what to do as the closing time is nearby. Also suggest is it worth buying Triveni now under buyback. Please contact your broker for the same. Regarding, Triveni Please avoid. Recd mail acceptance ratio is 18.6%. i.e. 149 out of 800 shares. I received e-mail today. Window opens from NOv 6th. No one seems to be interested in this buyback?? Share fell from 110 to 98, after buyback announcement!! Any idea of offer date? If I buy on 26th September will i be eligible to receive the offer letter ? (i) The Company is fundamentally strong. The company has excellent return ratio like ROC and ROCE. (ii) The Share is available at P/E of 8.6 and P/B of 1.2. (iii) Funds are holding a good chunk of Shares in the company and some of the prominent names are. 6.) ICICI Prudential Life Insurance Company Limited— Insurance Companies. 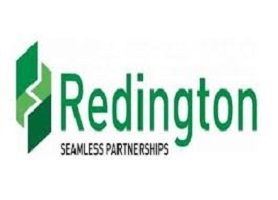 Redington (India) Limited has informed the Exchange that the Company has fixed Record Date as September 28, 2018 for the purpose of Approved September 28, 2018, for determining the entitlement and the names of the Equity Shareholders, to whom the Letter of Offer will be sent and who will be eligible to participate in the buyback. What is the expected entitlement and acceptance ratio? 1. As on March 2018, the number of shareholders who are holding shares between 2-5000 are 20428 holding approximately 42 Lakh Shares. 2. The total number of Shares reserved for the Retail Shareholders are approximately 16 lakhs. 3. Assuming after buyback announcement number of shareholder will increase to say 50 Lakh till record date. 4. So Acceptance Ratio= 32%.